The 2016 Summer Olympics took place in Rio de Janeiro, Brazil, from the 5th to the 21st of August when more than 10,500 athletes from 206 National Olympic Committees competed in 28 sports across 33 Olympic venues. Events ook place in artistic, trampoline and rhythmic gymnastics. We qualified full men’s and women’s artistic gymnastics teams (5 per team) , two places for Team GB in the women’s trampoline event and one in the men's event. 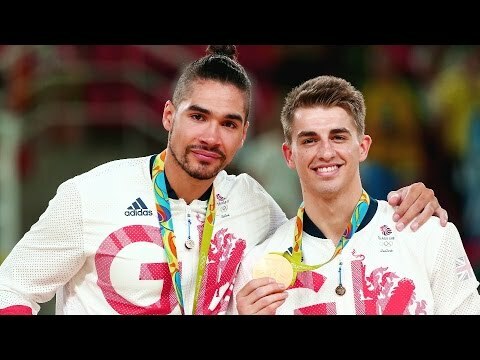 Our men’s artistic gymnastics team were Louis Smith MBE, Max Whitlock, Nile Wilson, Brinn Bevan and Kristian Thomas. Our women’s artistic gymnastics team, Becky Downie, Ellie Downie, Claudia Fragapane, Ruby Harrold and Amy Tinkler. Our trampoline gymnasts Kat Driscoll, Bryony Page and Nathan Bailey. Team GB gymnasts finished the Rio Olympic Games with seven medals across all three gymnastics disciplines represented, making it our most successful Games to date.